AVI Communications, Inc., a Dallas-based broadcast services company, was founded in 1991 by Pat Shaughnessy. Since its inception, the company’s total focus has been developing new local business for electronic media. AVI’s passion for helping broadcasters develop new business is its driving force which can be found at the heart of each of its products and services. Our Quantum DVD Sales Training series, hosted by Jason Jennings, has been purchased by literally thousands of Radio, TV and Cable systems over the years and is considered the best at teaching new AEs the fundamentals of selling media. 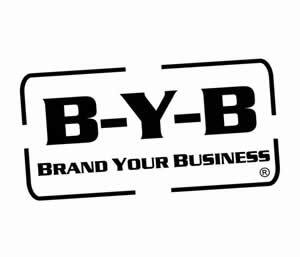 For the past ten years AVI has been the Television Distributor for a program called Brand Your Business, founded by Bill Parshall. Like some of its competitors, it’s seminar based and been widely used by stations who want to develop “new to TV” advertisers on a long term basis with the end result being millions of dollars in new business for Radio and TV stations across the U.S.
For a dozen years or more we offered The Creative Sell service which was a joint venture with an East Coast jingle company. It was wildly successful. The service developed well over 200 million in new business for stations in its twelve year history but AVI sold its interest several years ago and entered into a non-compete. Today we’re proud to announce a brand new service called Creative Currency. We’ve teamed up with an LA-based creative house whose creative includes jingles for general market and Hispanic stations, TV spot production, voice-over talent and custom music. Our newest service, Creative Currency, is a big, new, bold, convenient and powerful creative weapon designed specifically to put hundreds of thousands of dollars onto individual Radio and TV stations. This service will be offered as a market exclusive. We invite you to peruse our entire site for testimonials, production and more in-depth looks at each of our services.